So what a fabulous end X Factor....I was rooting for Rebecca to win but congratulations to Matt Cardle! 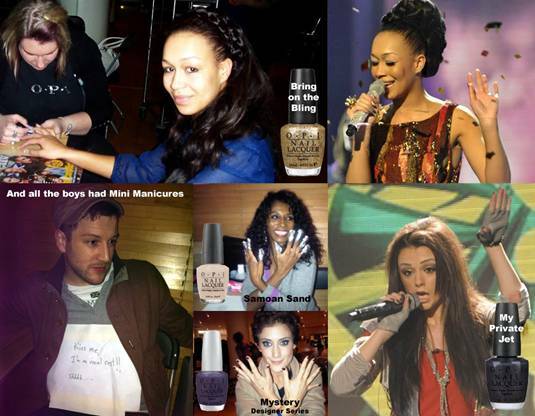 All the girls wowed us all with their smash hit OPI nails. Runner-up Rebecca wore OPI Bring on the Bling. Cher sported OPI My Private Jet before she was sent packing on Saturday!